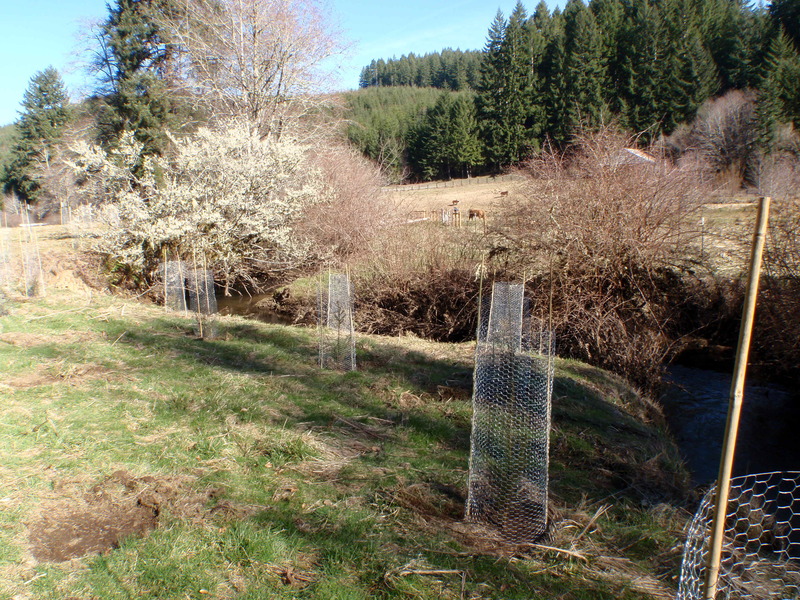 Stream-side activities include riparian planting to provide stream shade, long-term sources of large wood, and forage or construction material for beavers. The Council also addresses priority invasive species, such as Japanese knotweed, which will interfere with downstream gravel movement and basic stream processes as it displaces native vegetation. On lower Shotpouch Creek, live willow and Douglas spirea stakes flourished, increasing bank stability and stream shade. 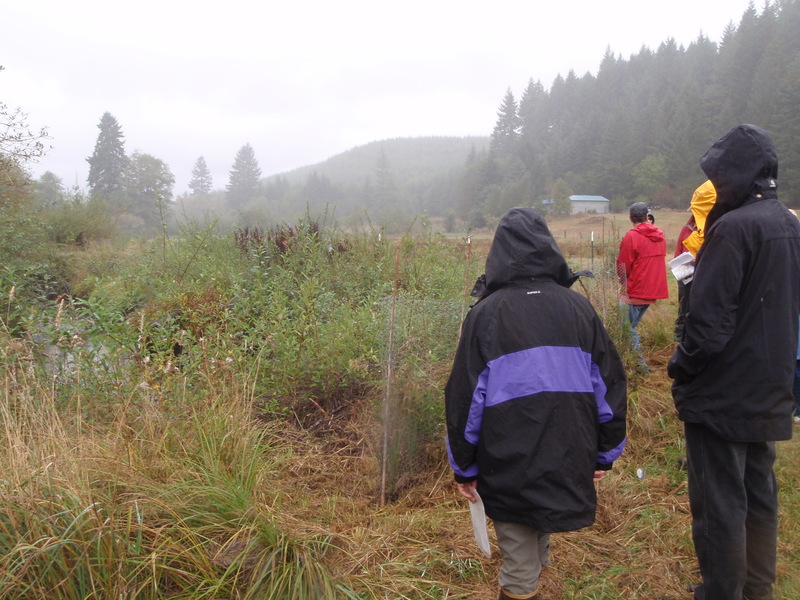 Douglas fir, Western red cedar and alders will eventually provide deep shade, and the conifers will help create channel structure as they age and fall into the stream.